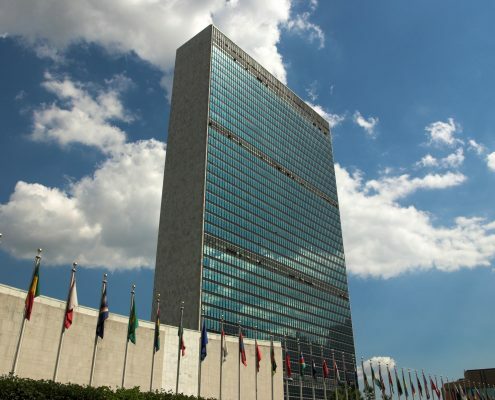 Servicing their 20-building campus in New York City, Hatzel & Buehler was recently awarded the official electrical contract for the United Nations. Hatzel & Buehler’s overall scope of work within that contract is broken down into three parts, including preventative maintenance, 24-hour on-call electrical service and general project work. As the preventive maintenance electrical contractor for the entire site, Hatzel & Buehler electricians perform maintenance procedures on hundreds of pieces of distribution equipment and emergency transfer switches, in accordance with manufacturer recommendations. An infrared scan of all active equipment is performed and any issues that arise are immediately remediated. With an on-site office and dedicated team of Project Managers and Electricians, Hatzel & Buehler provides the United Nations with 24-hour on call electrical construction services. Such emergency requests can come from the facilities department, or directly from the United Nations’ Agencies. Overall scope of work can range in size from small MAC work to complete floor re-stacking. Lastly, as the preferred Electrical Contractor, Hatzel & Buehler assists the United Nations’ contracted Construction Manager with project work, by supporting their electrical telecommunications’ needs.